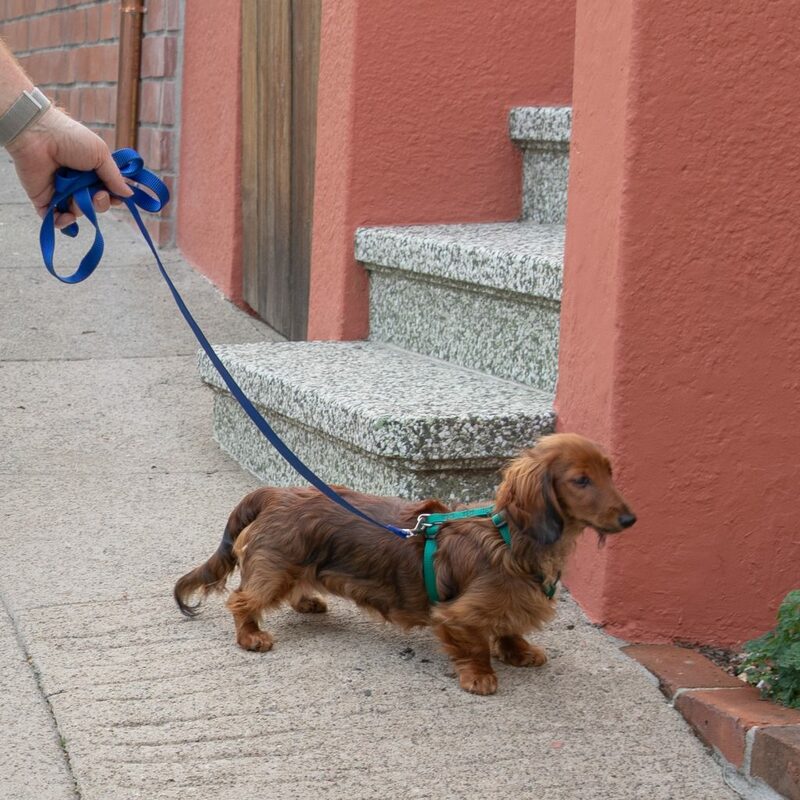 Despite working seven days a week, Geoffrey has taken Auroara out on 23rd Street for her first two outside walks this past Sunday and the Sunday before. Her first excursion was on her six month birthday, and we took some pictures of that event. Today, Auroara remembered that going out front was not the end of the world. She hung back a little at first, but after just one house, she was surveying the street and deciding that the front door world at least smelled interesting. 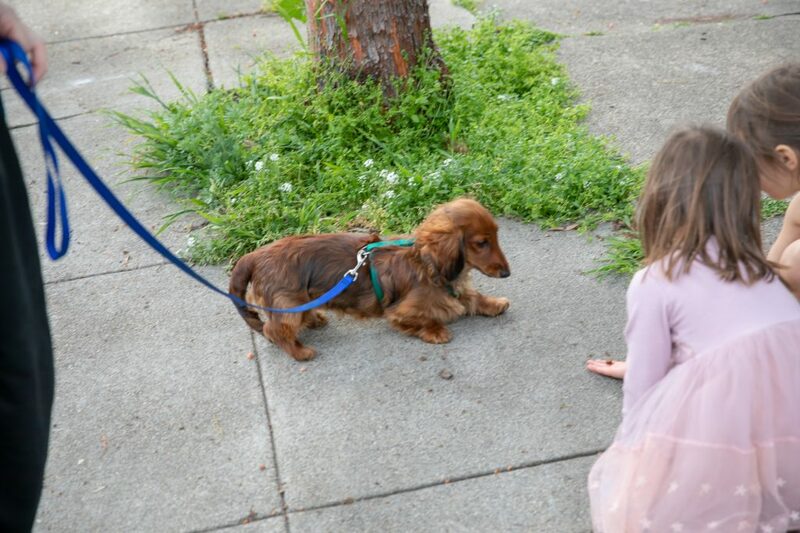 She did quite well walking, sniffing, and exploring… until as we approached the corner, PEOPLE appeared! A gaggle of PEOPLE, with these strange-looking and acting small PEOPLE. Day 189 – Do I Trust Them? 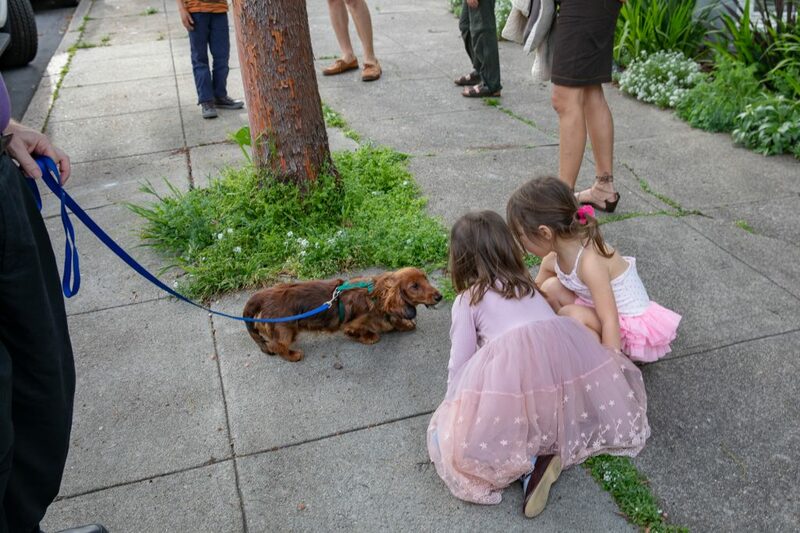 The human girls were very patient and interested in Auroara. Unfortunately, our girl never gave in and decided it was okay to eat the treats the humans offered her. As soon as the girls and their parents gave up, Auroara pulled on her leash to follow them stealthily, watching and making sure that their backs remained turned. We hung back, though, and let the humans go up the hill unmolested. Once home, Auroara showed no ill effects from the experience. She rejoined the pack and restarted her enjoyment of the day. 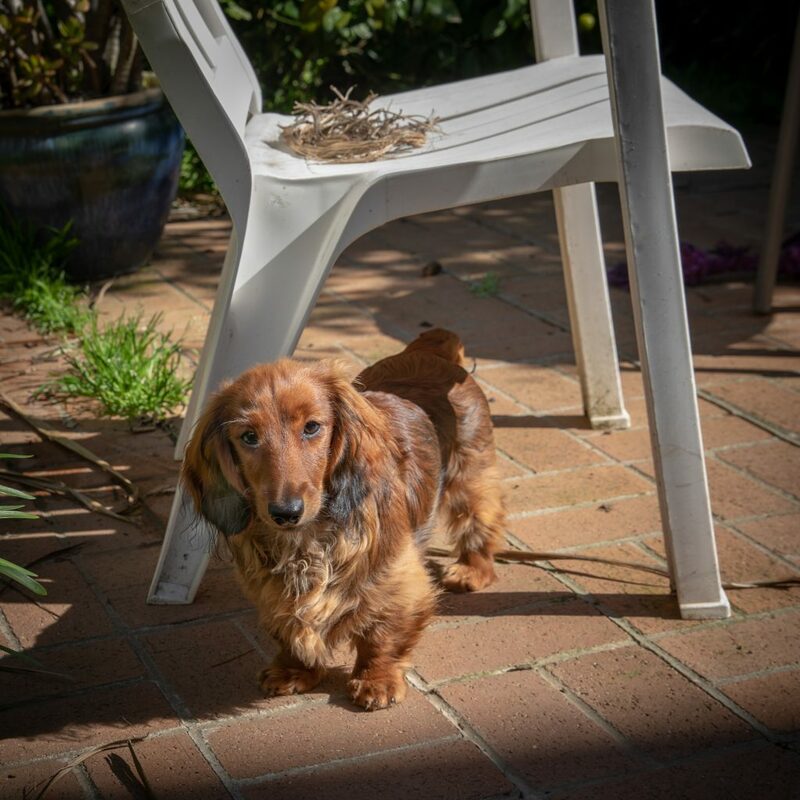 This entry was posted in dachshunds and tagged "Show", Auroara, dachshunds, Geoffrey, puppies 2018, walking, walks, zenith puppies. Bookmark the permalink.